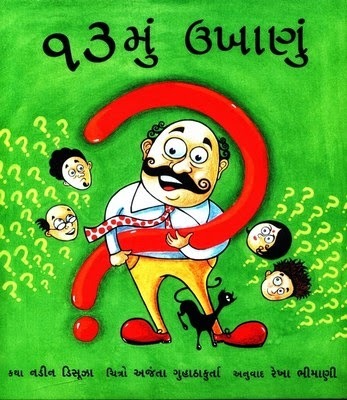 The smart mayor or Chakrampur, Piloo Paheliji, loves to show off by asking riddles no one can answer. He even has a Riddle Day every year. Whoever can answer his riddle that day will win a prize. But twelve years have gone by, and there have been no winners. 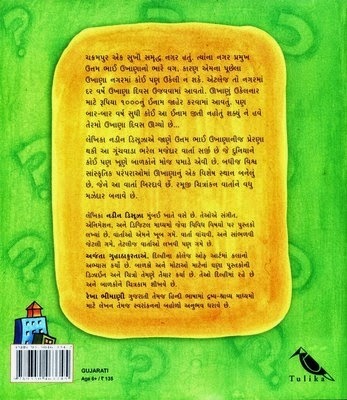 The thirteenth Riddle Day dawns... and Paheliji is baffled when the tables turn on him! A book that celebrates the challenge of riddles, with illustrations that capture all the fun of the story. NADINE D'SOUZA is a writer from Mumbai who has written on diverse subjects such as music, animation and digital media. She loves a good story and when she is not reading or listening to stories, she is busy weaving some of her own. AJANTA GUHATHAKURTA studied fine arts at the College of Art, Delhi, and has illustrated and designed several books for children and adults. She lives in Delhi where she also teaches painting to children. This is her second book with Tulika, after The Sweetest Mango.